American Business Advisors® (ABA) is delighted to announce the hiring of new Associate Sarah Guay for the American Business Advisors' Hawaii office, headed by Jon Hokama, Senior Vice President. American Business Advisors® (ABA) is the nation’s leading strategic and management consulting firm specializing in Building Cash Cows® and Improving Quality of Life® services for mid-size and small companies, family businesses, and their owners. Sarah Guay has joined the Hawaii office as Senior Advisor. Ms. Guay is passionate about aligning people development, strategy and purpose to drive outstanding business results. She has extensive experience empowering organizations to achieve maximum productivity through processes designed to attract, develop, motivate and retain engaged employees. 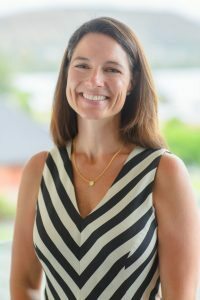 Ms. Guay’s proven track record of success in strategic HR includes growing strong cultures that cultivate maximized productivity for Fortune 500 companies and several of Hawaii’s Best Places to Work (including ProService and American Savings Bank). Ms. Guay helps business owners clarify their strategic direction and align their people’s strengths with that strategic direction. She is a member of American Association of University Women, a past Board Member of Big Brothers Big Sisters Hawaii and is a regular speaker on women’s leadership and development circuit. She takes great satisfaction in helping others discover their passions, develop their talents and realize their potential. ABA Hawaii is delighted to have Ms. Guay as a resource to serve Hawaii’s business owners and their teams. For more information, email info@abadvisors.com or call 808-383-1766. ITR Economics is offering a new webinar, "Leveraging Your Competitive Advantage. " This webinar will provide you the tools to differentiate yourself from the competition based on ITR's Business Cycle methodology.